From the outset, several aspects of the Washington Post‘s decades-old accusations of Roy Moore having inappropriate relations with four young women seemed off. In addition to odd circumstances surrounding the story’s origins, the accusers themselves – and even the WaPo journalist who wrote the story – have checkered pasts and political views which some could consider ulterior motives. 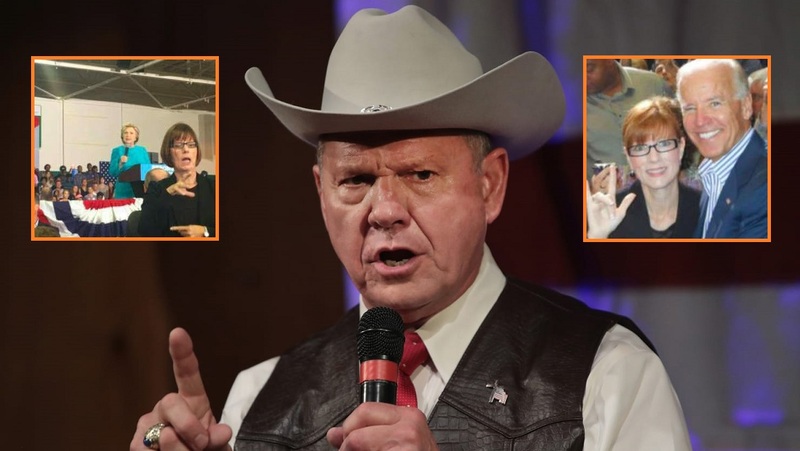 If the accusations against Moore are true, he needs to immediately step aside and exit politics – as both President Trump and, oddly, Mitch McConnell have stated. Moore has vehemently denied the charges. How did the story come together? As Radio host Mark Levin pointed out on his show last week that there are several aspects of the case which don’t really make sense. To recap; a Washington Post reporter overheard a rumor at a Roy Moore event in Alabama about Moore sexually abusing four girls 38 years ago, then found the women, interviewed them, and the rest is history. While reporting a story in Alabama about supporters of Moore’s Senate campaign, a Post reporter heard that Moore allegedly had sought relationships with teenage girls. Over the ensuing three weeks, two Post reporters contacted and interviewed the four women. How did the WaPo reporter know there were four women, who they were, and how to contact them? How is it that the reporter's anonymous source, who they bumped into, knew about the four women who don’t know each other and have never met, and knew each woman's story and contact information? Why hasn’t any of this been reported in Moore’s 38 years in politics? And why now – a month before an important election to fill Jeff Sessions’ senate seat? 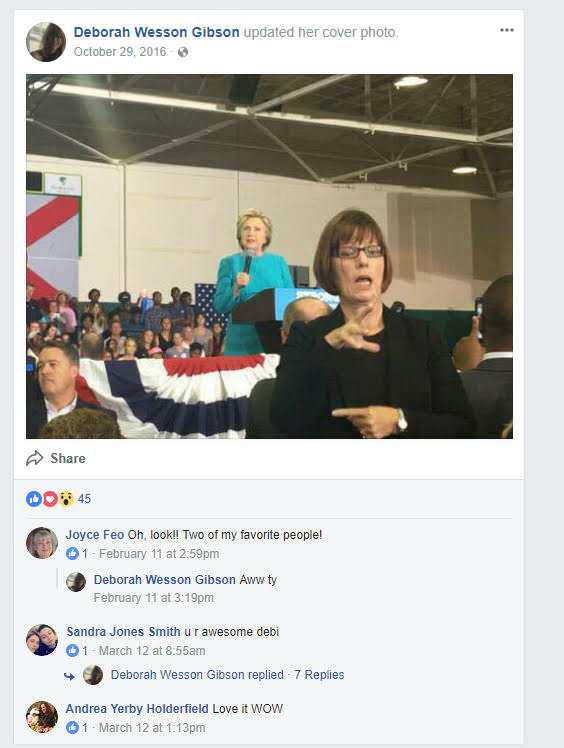 Adding to the list of questionable circumstances - one which the Washington Post oddly omitted from it's report, is the fact that one of Moore’s accusers, Debbie Gibson, worked as a sign language interpreter for Hillary Clinton and Joe Biden, and is actively campaigning for Moore’s Democrat opponent, Doug Jones. 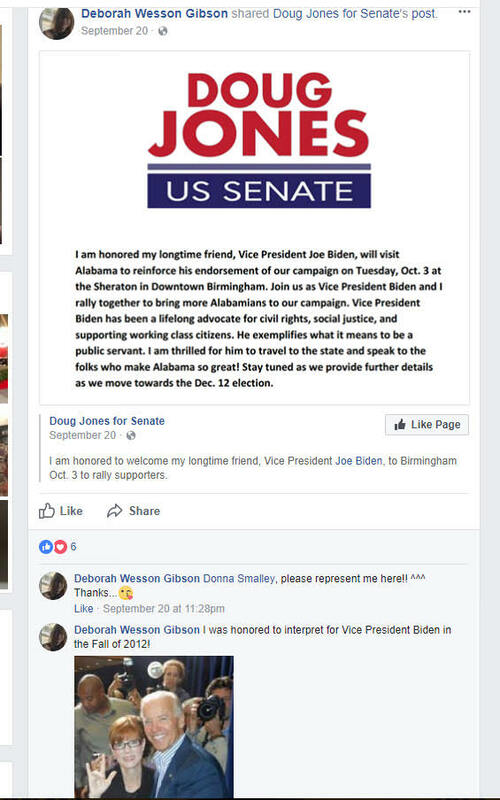 The Washington Post failed to disclose that one of Moore's accusers was a sign language interpreter for Joe Biden and is a volunteer for Moore's Democrat opponent. Another Moore accuser, Leigh Corfman, has claimed “several pastors at various churches made sexual advances at her.” This 3x divorcee who has also filed for bankruptcy three times. Purportedly Moore’s main accuser Leigh Corfman has had three divorces, filed for bankruptcy three times, and has been charged with multiple misdemeanors. Posts on Moore's FB page indicate that Corfman, has claimed several pastors at various churches made sexual advances at her. Ms. McCrummen has a rather interesting criminal history herself, as public criminal records in multiple states stretching across 4 time zones have shown. Ms. McCrummen’s criminal history began with North Carolina Case # 1992 CR 00654, a violation of the Article 19 – False Pretenses and Cheats section of the North Carolina Criminal Code. Ms. McCrummen was convicted of a crime punishable by up to six months of imprisonment for writing a hot check that was deemed worthless. Last but not least, former Secret Service agent Doug Lewis (@umpire43) has made an unsubstantiated claim that a WaPo reporter named “Beth” offered a family friend $1000 to accuse Roy Moore, and that a tape of the offer is in the hands of the DA. A family friend who lives in Alabama just told my wife that a WAPO reporter named Beth offered her 1000$ to accuse Roy Moore???? 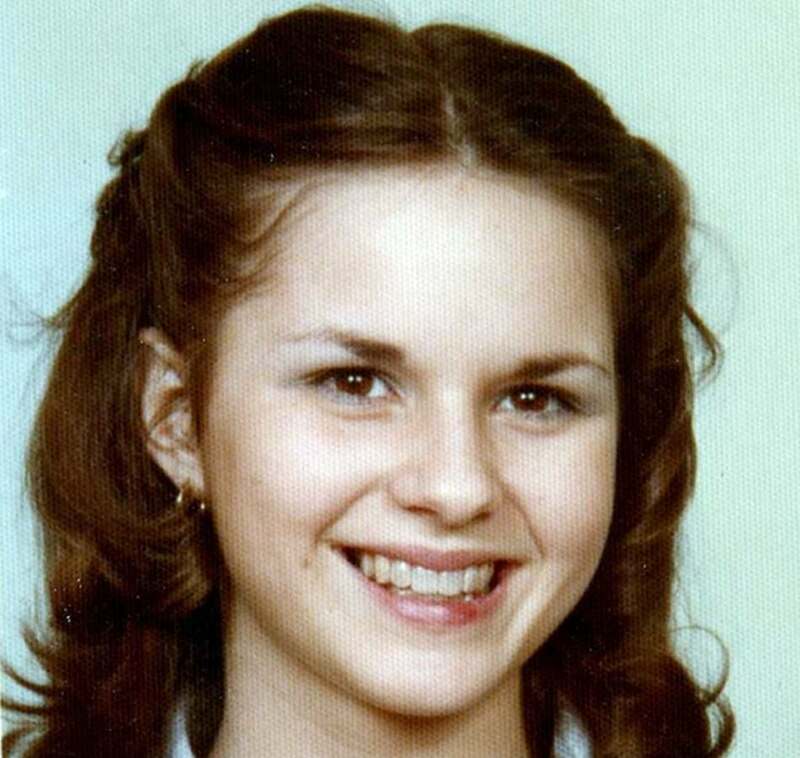 Again – if Roy Moore took advantage of four young women 38 years ago, it is reprehensible and he should face justice if at all possible. That said, several troubling aspects of the Moore accusations have come to light in the days since the report, casting what many feel is reasonable doubt on the entire thing.